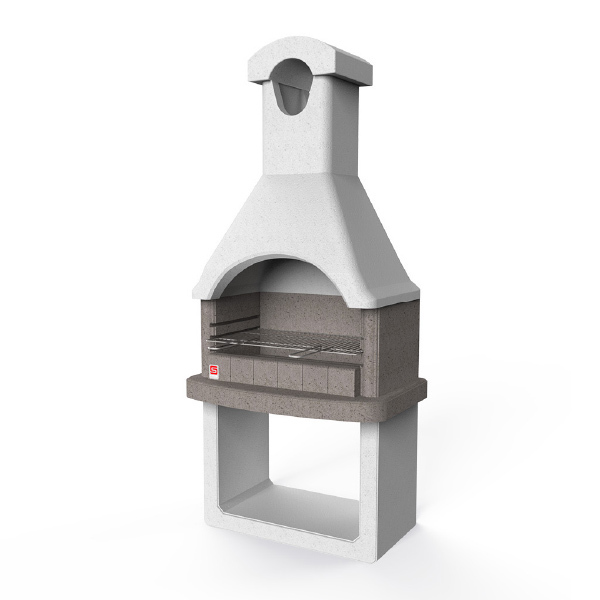 Lightweight concrete barbecue. 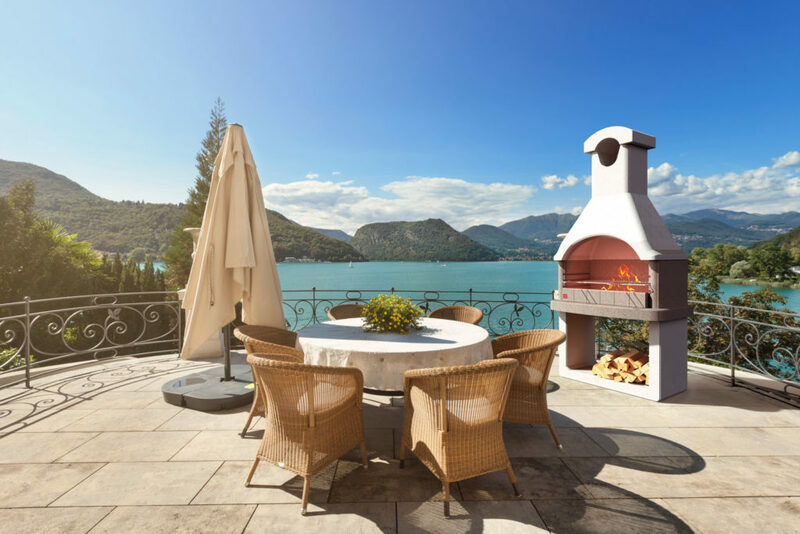 Fireplace with chrome cooking grill, adjustable to 3 heights. Worktop, fireplace and SAFE GRILL are pre-coloured in the compound, the rest can be customized with Sarom quartz coating. Easy assembly.